Jengo needs your help! Back this South Africa indie title before it's to late! Jengo needs your help! Back this South Africa indie title before it’s to late! It has finally happened! Robot Wizard has announced that their point-and-click adventure, Jengo, has secured over 20% of its FIG crowdfunding goal. This means that the game is officially out of its backstage pass phase and well on its way to secure proper FIG backing. However, the title is not out of the woods yet. Jengo needs your help! FIG, which is a crowdsourcing platform for video games, was founded in 2015 by Justin Bailey, the former COO of Double Fine Productions. 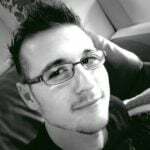 Since then, it has helped to crowdfund numerous games — with Jengo currently doing its best to reach its goal (I like to call the game South Africa’s Sweetheart). You see, Jengo is a sort of “last” or “only hope” for point and click games. It is probably the closest iteration of classic, old-school point-and-click that I have ever seen, and it is still in development! If you are unaware, point-and-click titles are usually played with no other input than the mouse. All players need to do is hover their cursor somewhere on the screen and click on a spot, which will usually result in actions taken. Old-school point and click adventures also feature extensive puzzle quests where the player has to venture forth and explore all kinds of nooks and crannies to piece together puzzles or find solutions so they can move forward. I have only played Jengo briefly, but I can safely say that it definitely features quests like these! Jengo also has a variety of old-school easter eggs for lovers of all kinds of media. While it is not outright stated, you can meet “Generic Action Hero” which is basically DOOMguy and even a past iteration of Mario’s love. There are apparently hundreds – if not thousands – of references strewn about the lands of Jengo. Lands I know I want to explore, but Jengo needs your help for it to happen. 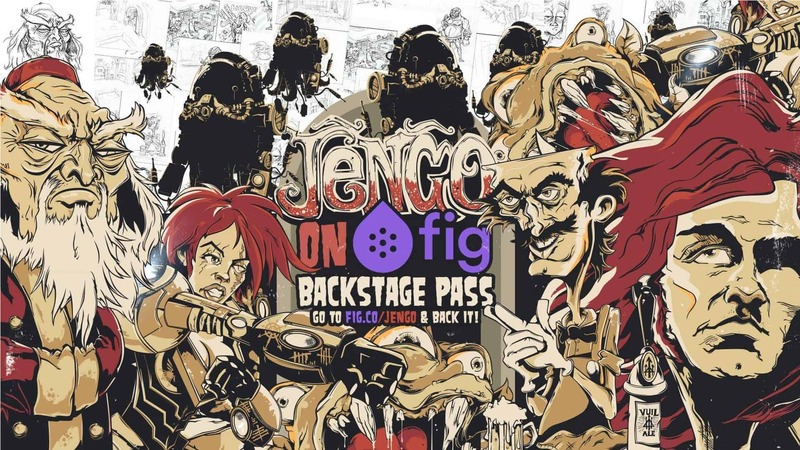 Jengo’s current FIG campaign includes options for a Standard Edition, a Digital Deluxe Edition, and more. By backing just $20 USD, fans can get the standard edition of the game that also includes having their names in the credits; while the digital deluxe edition will include all that, and the game’s soundtrack. By funding even more — $125 USD to be exact — fans can get a physical package which includes a signed and delivered hardcopy of the game, a collector’s item, and everything else the digital deluxe has to offer. For $175 USD, fans can score the Deluxe Physical Package, which includes the ability to design your very own in-game item! This includes your own graffiti in the many toilets strewn across the game, a fake website, or even a fake game poster that will hang on a wall somewhere. There are way bigger packages for way bigger fans of the genre too. These include a $400 USD package that includes all the above and the “exquisite honour of having a song written about you”; or even a whopping $1 000 USD option that will literally make you a lord of the puzzle. This package includes everything above including rewards for the $500 and $600 tier options, which will see yourself as a character in-game and even get your voice on an Elite Robot. The $1 000 USD package also integrates you into the game as an in-game puzzle. You will be included in some parts of the creation process and everything. Oh, and you get three digital copies of the game to boot. With only 25% of the funding goal reached (at the time of publication), Jengo still has 75% to go. If the game does not reach this goal in 30 days from now, Jengo will cease to exist. Whatever your reasons for backing are, and however deep your pocket is, I implore you to at least check this project out. Jengo needs your help to be come a reality. This article is not sponsored at all — but everyone here at Vamers would love to see this South African project come to life!